The March Quarterly Hogs and Pigs Report came in as analysts expected. (See coverage from the Dec 2018 and Sept 2018 reports.) According to USDA’s count of all hogs and pigs on March 1, 2019, total inventory was 74.296 million head, up 2.1% from a year ago, but down slightly from the Dec. 1, 2018 report. The market hog inventory on Dec. 1 was 67.948 million, up 2.1% from last year, but down slightly from last quarter. The number of pigs kept for breeding came in at 6.349 million head, up 2.2% from a year ago, and up slightly from last quarter. 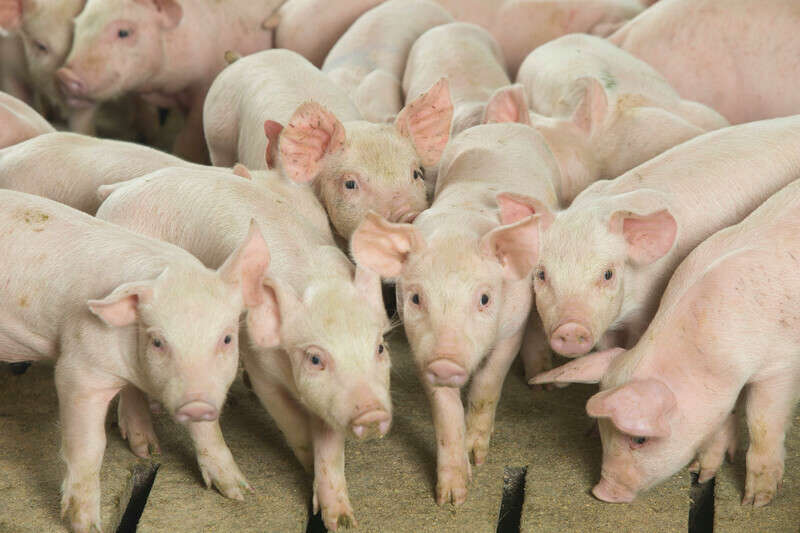 The largest discrepancy between the USDA report and analysts’ projections came in the June-August farrowing intentions at 3.191 million litters, down 0.3% from a year ago. Analysts expected this to be up 2.3%, said Steve Meyer of Kerns & Associates. In the market hogs and pigs by weight groups, USDA reported 21.456 million head in the under 50 pounds category, a 2.5% increase from a year ago. In the 50-119 pounds category, the count came in at 18.639 million, up 2.3%. In the 120-179 category, there were 15.268 million head, up 1.8%. And rounding out the 180+ pound category, the count came in at 12.585 million head, up 1.6% from a year ago compared to analyst expectations of 2.4%. Despite disappointing hog producer margins in the last six months, Kevin Bost, president of Procurement Strategies in Elgin, Ill., was looking for some evidence that the pace of expansion would be changing – either increasing or decreasing – in the March Hogs and Pigs Report. He believes that the increase in pork production will be bigger than what is suggested by market hog inventories and farrowing intentions. He said he has pork production running 3% to 4% above a year earlier. Kevin Grier, President of Kevin Grier Consulting and Analysis in Guelph, Canada, said the main thing he looks at in the report is what is coming at his country in terms of slaughter and production from the U.S.
John Nalivka, President of Sterling Marketing in Vale, Ore., said he’s seeing some slowing down of expansion with the losses incurred in the production part of this business in the second half of last year going into the first quarter of this year. But like the others, he is not making many changes in his projections. The economists agreed that the information coming from China in the midst of the country’s battle with African swine fever (ASF) has been hard to decipher. Nalivka said he has been suspicious of the numbers coming out of China and suspected the losses were significantly underreported. Grier said there is no way the U.S. or even the globe will be able to fill that demand. “There will be scarcity in China, southeast Asia, and even here in North America for some buyers,” he added. Nalivka said it’s important to note China’s impact on the total picture of U.S. meat exports. “In terms of China’s demand versus their supply – they are also picking up their purchases of beef significantly from Brazil and Australia. We’re seeing that impact here in this market on the beef side,” Nalivka said. Although China offers opportunity, Nalivka said China only represented 6% of our total exports in 2018 as compared to Mexico at 30%, Japan at 21% and South Korea at 12%. Using the CME lean hog index and factoring in 25 to 30% U.S. export growth, Grier predicts $88 for second quarter, $98-100 for third quarter; and $88 for fourth quarter. Bost said he, too, has factored in generous export projections in his price forecast. “I’m talking about a 10% year-over-year increase in total U.S. pork exports and 31% increase from a year ago in both the third and fourth quarter. I’m using the numbers coming out of the Foreign Agricultural Service post in Beijing as a guideline,” Bost said. In addition, wholesale demand for pork is a critical component in his price forecast. Using the CME lean hog index, he predicts $81 in second quarter; $82 in the third quarter, and $70 in the fourth quarter. Nalivka uses the Western Corn Belt pricing to make his predictions of low to mid 60s in the second quarter, low to mid 70s in the third quarter, and low 60s in the fourth quarter.